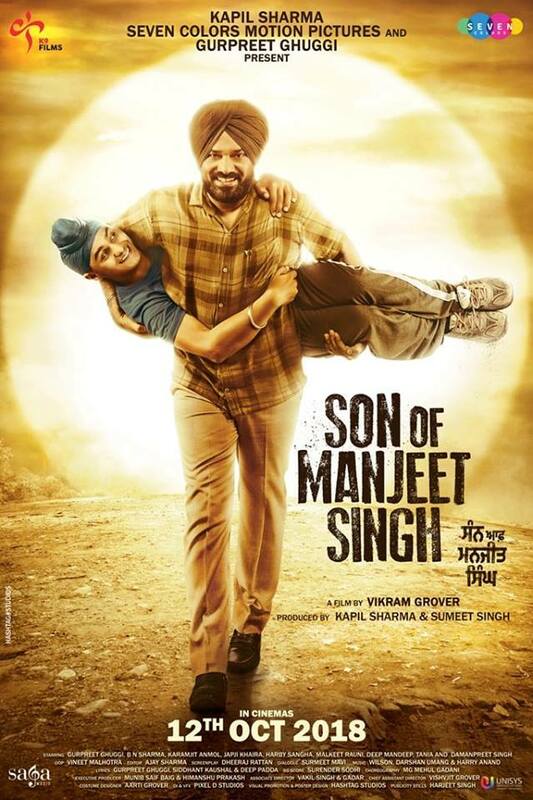 The makers behind the upcoming Punjabi movie ‘Son of Manjeet Singh’ starring Gurpreet Ghuggi, BN Sharma and Japji Khaira have shared a first look at the movie by releasing the poster. The movie marks the debut of television presenter, Kapil Sharma, as a producer. Sharma and Ghuggi who are both comedians and have known each for quite a while are coming together to create an emotional story of the bond between a father and son. The movie is slated to be released on October 12th, and we’re sure we will be seeing a trailer for the flick shortly.